Members of American Legion Post 128: While all Veterans Day celebrations are special, this year marks 100 years since the WWI Armistice. My grandfather, and namesake, Liborio Pasquarelli served as a Sapper in France in WWI and I am sure there are other members of our group that had someone in their family serve in that major conflict. Please be sure to take time to pause and consider the service of our predecessors. See below for some ideas on how to spend a little time thinking about that period in our nation’s history. Sign up NOW to get public performance rights on your base or in your community for 4 great WWI films for the whole family plus 2 bonus shorts. 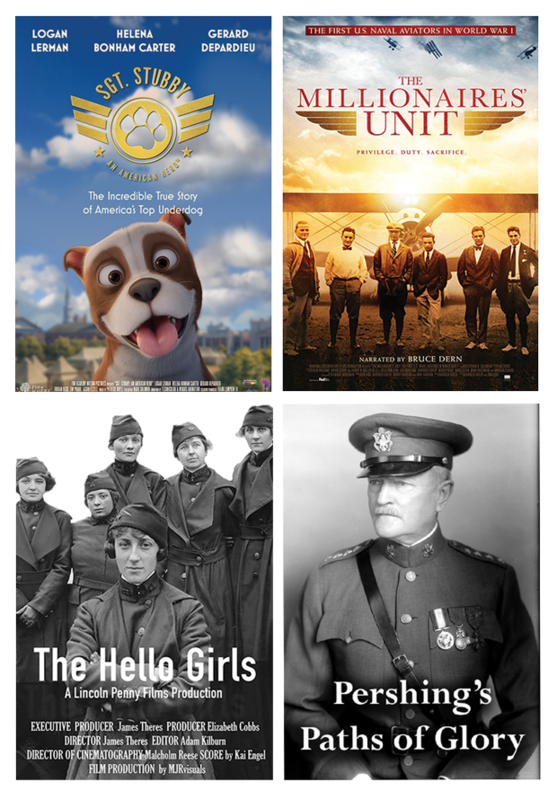 These award winning select films offer learning and sharing opportunities about World War I for soldiers and their families. is a nationwide bell tolling in remembrance of those who served and the transition to peace. On November 11, 2018 @ 11:00am local time Americans across the nation will toll bells in remembrance of those who served and sacrificed. Register and submit your unit’s logo. 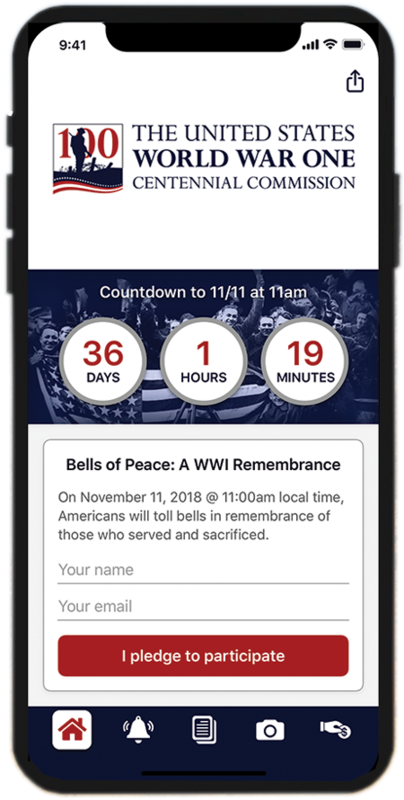 For your Veteran’s Day event, this year you can commemorate the Armistice by everyone opening their Bells of Peace App. As the built-in countdown timer reaches 11am local, Bells of Peace will toll from every device. Together. 21 times, in a remembrance of this very special moment, when the fighting stopped “Over There”. The FREE APP will be available for iPhones and Android in early October. Pre-order now at the link above.